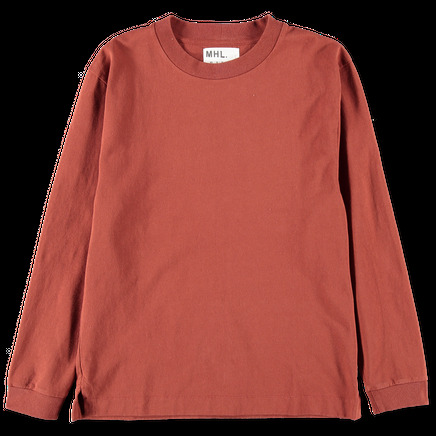 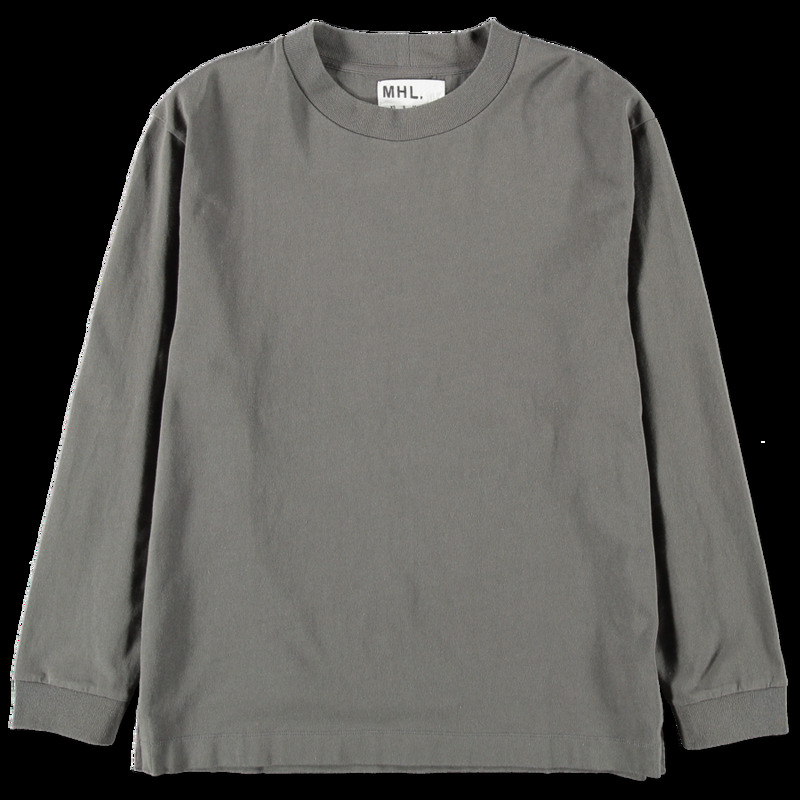 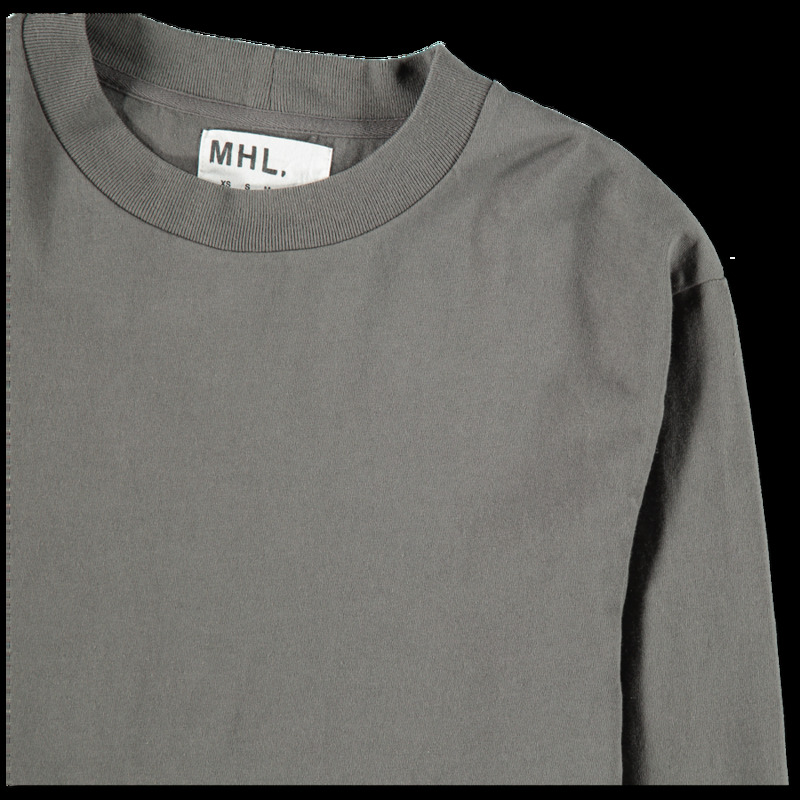 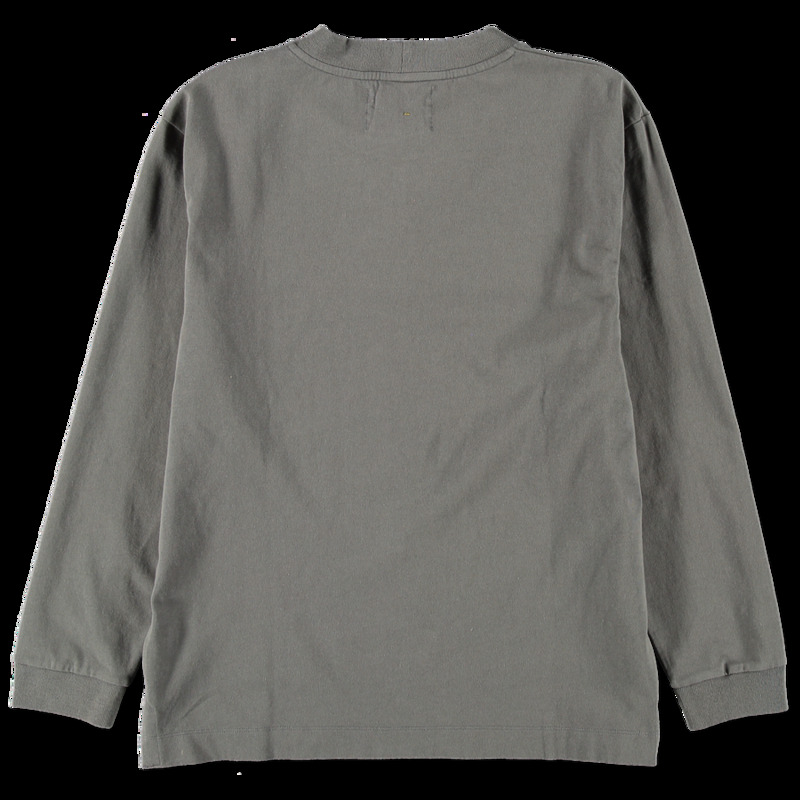 Boxy fit longsleeve tee in a heavy washed cotton jersey. 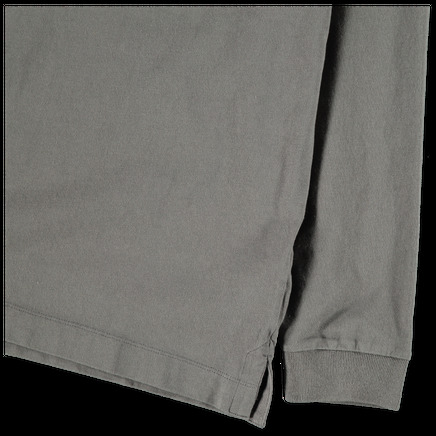 Ribbed cuffs and collar. 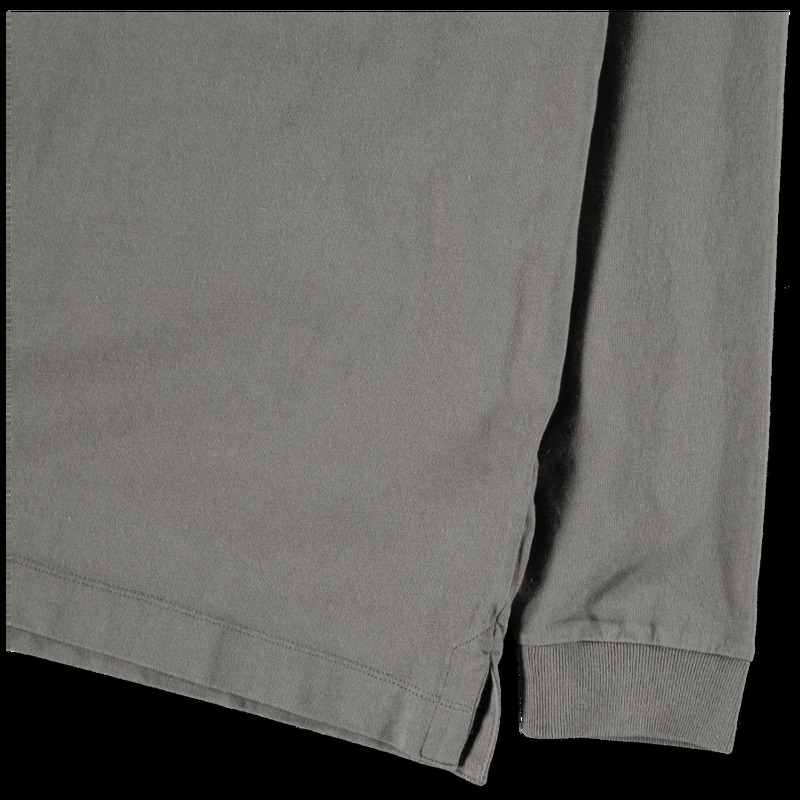 Straight hem with side slits.